There’s lots going on in #OAweek across the region. A list of events is here. 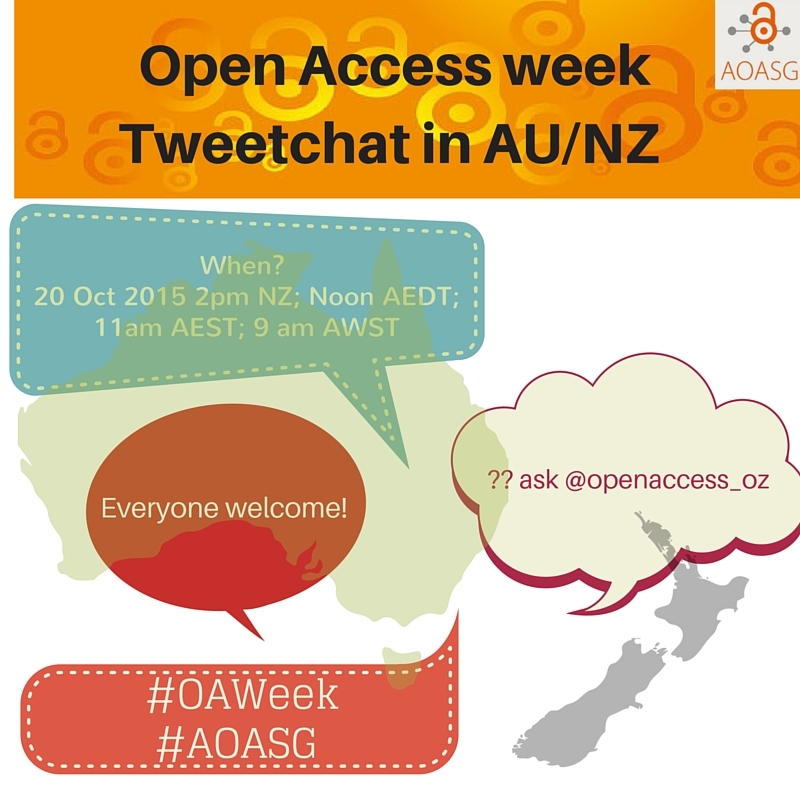 Tell us if we missed anything & let us know about events you attend: tag on twitter – #oaweek #AOASG or contact us via the website. Several institutions across the region are featuring researchers talking on what Open Access means to them. Check out videos from Professors Andrew Brown and Sydney Dekker from Griffith University and Professors Paul Low, Robyn Carroll, and Christopher Vernon from UWA. Curtin Library has a new video on an introduction to open access. And for Open Access as Shakespeare would have written it, don’t miss “Sherpa Romeo and Juliet” from Southern Cross University Library Got videos you’d like to share? Let us know. To encourage researchers to spread the word about their research we have partnered with thinkable on a competition to highlight OA work. Video abstracts can increase the reach of open research. The Australasian Open Research Video Competition aims to create an engaging forum to showcase the best video abstracts, as voted by the community. It is open to any researcher based in Australia or New Zealand, of work published in an open access journal or which is made freely available via an open access repository. This year’s focus of OA week is to expand open access content on Wikipedia – without question the world’s largest free resource. The need for accuracy is highlighted by what happens when you type pretty much any scientific term into Google – your top hit will be Wikipedia. Having accurate information displayed at this first point is essential. to translate Open Access-related pages into languages where they don’t yet exist. 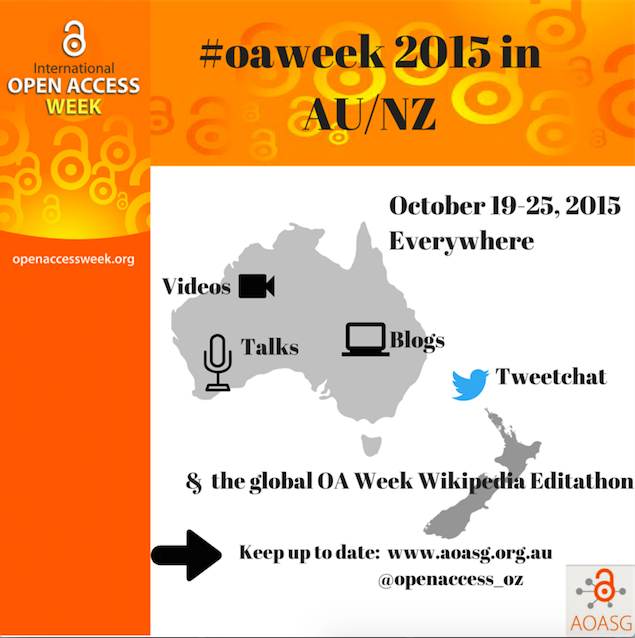 We have a line up of blogs for OA week. You can also check out recent posts, including why ORCiD is so important in OA and how hard it can be to collect solid data on APCs from an institution. 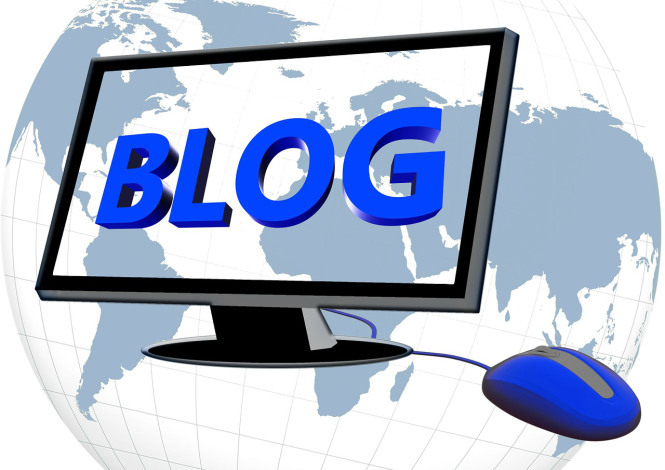 “Your Questions Answered on open access research” during OA week and has a post at the beginning of OA week from AOASG on the “battle for open access“. The Australian Higher Ed section has also covered hot topics, including discussions about Elsevier’s embargo periods earlier this year. 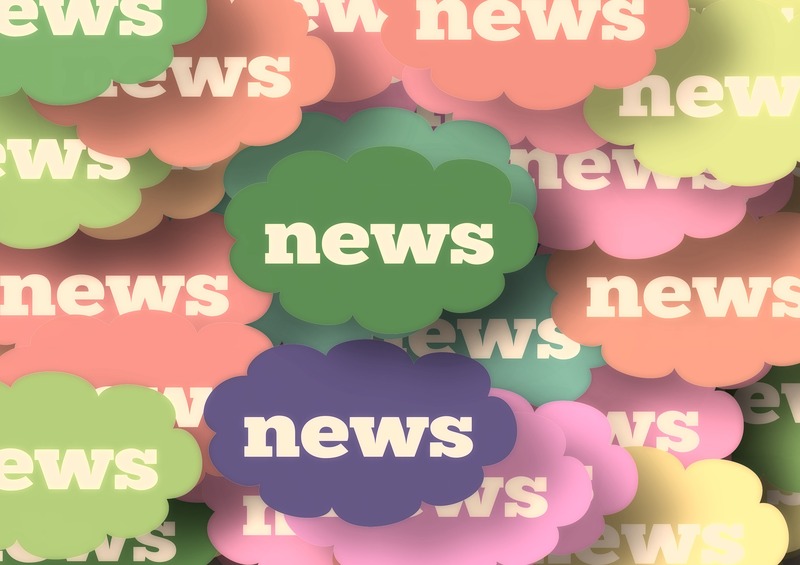 Open Access has also been on the radio with a Background Briefing programme on those who seek to exploit new developments in publishing and conferences and features in this week’s edition of Future Tense with the wonderful topic of “Designing for Serendipity“. This week is a great time to get a view of local initiatives from across the world. Many have associated webcasts to follow or resources that can be watched later – so you don’t have to leave your desk. Finally, if you need materials to promote OA or OA week, take a look at the OA week resource page.